The Fort Payne Sanitation Department is divided into 4 different segments – Residential Collection, Commercial Collection, the Fort Payne Landfill, and the Fort Payne Recycling Center — each with its own rules and regulations. 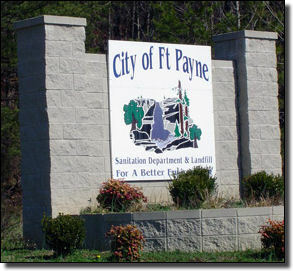 The primary goal of the Sanitation Department is to keep Fort Payne clean and to provide a better environment for all. If you have any questions, please call (256) 845-0758 and we will be happy to help you. Also check out the links below for more information about each of the segments of services provided by our department.